Gotten your hands on our Jeju Volcanic Color Clay Masks already? ? 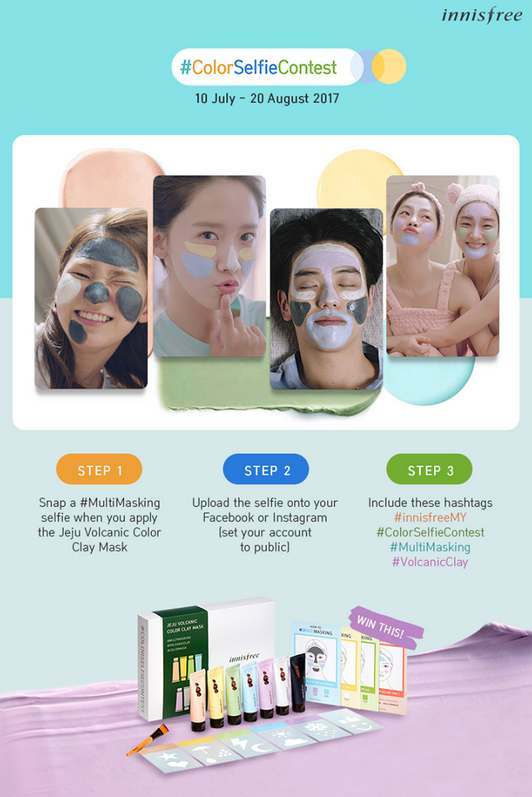 Join our #ColorSelfieContest now and stand to win an exclusive Jeju Volcanic Color Clay Mask Palette that comes with ALL 7 masks, a pack brush and cut-out designs! Be one of the 7 winners to own it. ?️ ? Find out more at Innisfree.